The High Performance program is for athletes who desire to train and compete at a high-performance level. Swimmers practice 5 times per week, refining their technical skills and bringing their performance to the next level. 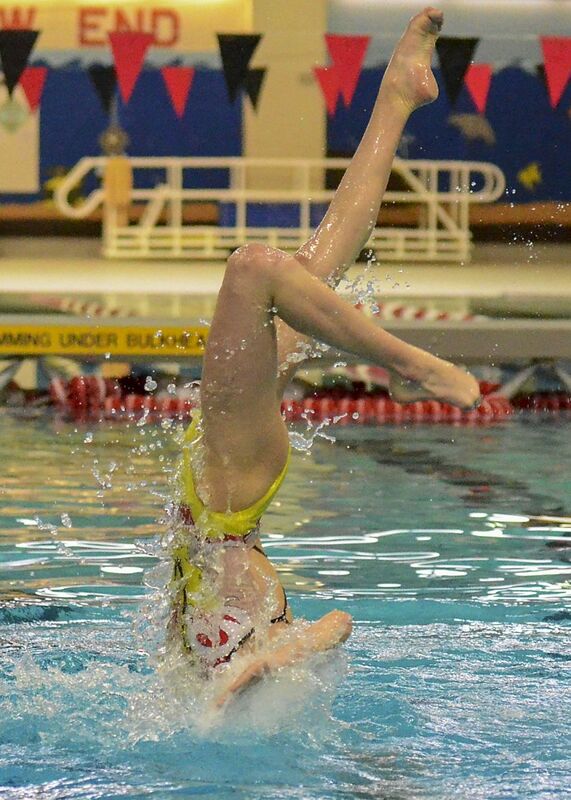 To be part of the High performance program, swimmers must be experienced athletes who have already competed successfully in the Provincial or National stream. 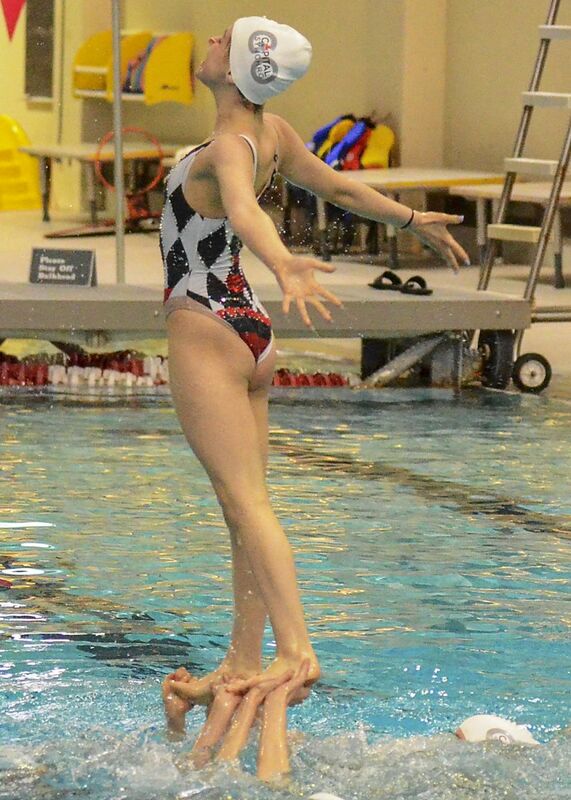 The High Performance program runs from September to June, however, athletes may continue to train during the summer in preparation for High Performance and Provincial team camps and or competitions. Athletes are typically the age of 12 and over and compete in regional, provincial, national, and international competitions. Ages 11 – 15 years – Train to Train – continued synchro skill development and competing more seriously. Train to Compete – Optimizing physical preparation, higher intensity training, more individualized training. Train to Win – Elite competitors competing at the highest level of competition. All competitive swimmers will participate in a Conditioning Camp during the week of August 27th. Team selection will take place between September 4-8th . The exact dates and times will be communicated at a later date. The competitive season and regularly scheduled practices will begin after September 10th and continue until the end of May/early June. Competitions dates and locations for the 2018-2019 season are still being finalized by Synchro Ontario and Synchro Canada and will be shared as soon as they are finalized. Please note that Synchro Ontario is restructuring the competition path for all streams - more information to follow shortly! A non-refundable deposit of $250.00 is due at time of registration. Fees can be paid in full or in installments based on the fee schedule available during registration. Please refer to the Go Capital Synchro Payment Policy for information related to refunds and withdrawals. High Performance Solos and Duets will train 3 hours per week from mid-September to May/June. Swimmers will be asked to indicate their interest at the time of registration. Selection will occur in early September. Extra routine selection and coach assignment will be at the discretion of the Lead Technical Coach. Schedules will be subject to exception dates due to pool closures, special events and holidays. In order to accommodate these, practice times and locations may be rescheduled or canceled. These dates will be shared as soon as they become available. New athletes to GO Capital Synchro and Team Unify will be asked to create an account and log-in before starting the registration. Do not hesitate to contact us at registrar@gocapitalsynchro.ca if you have any questions.